As a female brown belt, I have not come up through the ranks without struggle. Even now, I can’t say that my built-in physical limitations don’t hold me back. They do. And I know that I am not the only 110 pound girl in this system. Despite my size, there’s a lot that I have learned that put me in a better position than I would have been in without karate. At age 10, I was a tiny, shy girl who had never been committed to a sport. I tried my best to work my way up, but there was a lot of crying and struggling involved, especially since I was in a place made up of mostly men. I do not regret putting myself in this position. Being in karate, in Kenpo, pushed me to become a better version of myself. By training and learning, I became more physically fit. I developed stamina and some measure of muscle. Even more importantly, I developed a confidence in myself that I had not had before. It became easier to communicate with both the instructors and students who were not already my friends. Working with them then transferred into my day-to-day life, as at school it became easier to express ideas to my peers in class and have more developed conversations with my teachers. I am aware that most extra-curriculars, be they karate, dance, etc., tend to boost the self-esteem of those who become passionate about them. 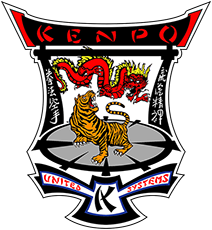 For me, there’s something about the usefulness and practicality of learning Kenpo that makes me feel like I’m benefitting in extra ways; like in the future, it’ll do more than make me a healthier person, it could potentially save me one day. As a 110-pound, 18-year old girl, my confidence (and also my awareness) are heightened so that I do not feel as vulnerable walking down the street at 8 pm when I need to go to the grocery store. While I see the benefits of other activities, the martial arts, especially Kenpo, really plays to anyone’s strengths and attempts to accommodate anyone’s disadvantages such as, unfortunately, being a teenage girl in the modern world. Ultimately, the concept of a girl like me having this skill in her back pocket is what appealed to me and is why I joined and remained a student, especially with a system as practical as Kenpo. After training for 8 years now, I’ve been able to hone my skills. I am in control of my body, have developed a better sense of balance, and I have learned how to implement my strength effectively on a bag or training partner. After 8 years, I still have a long way to go (as any human would). There is always room for improvement. But at this point, it is also time to give back. As a teenage brown belt it is a duty to myself, my school, and the other students to come in regularly, to help teach classes. Now, there are not many other brown belt girls at the studio (that I know of) that come in to teach. Primarily, classes are taught and staffed by the guys. While I believe that anyone coming to the studio to help is of huge assistance, I also believe there should be a larger female presence among the instructors. From experience, girls tend to learn better from other girls because as girls, we tend to look up to other girls differently, and idolize them as role models. By seeing a strong girl, we believe that we too can be “just like that”. We gain this experience via female instructors. In turn, we grow more comfortable and our self-esteem grows. In a sport such as karate, we thrive sooner, wanting to further develop our skills and as a result, are stronger and more mentally aware of ourselves and the world around us (especially if we want to be like the instructor we look up to). This not only benefits students, but instructors as well. When I first started teaching, it was easy for nerves to kick in because all of a sudden, I was a source of information to kids that knew nothing about what I was about to teach them. I had to impart what I knew like I knew it perfectly, despite still seeing myself as a student. Over time, these jitters subsided. After the first few classes, I realized I really do know the material I'm teaching (especially when teaching white belts). Once I realized I don't have to worry about teaching the wrong information, it became easier to connect with students. I can engage in relaxed conversation with them more easily because I'm not focusing on being sure I teach every little detail perfectly. I can be more personable, joke around (a little) more, and end up becoming friends with all of these kids. We say 'hi' to each other in the halls. It's the greatest feeling realizing I can be a teacher that students look up to and like. I would like to see more girls to come in to teach like I do. They will be coming in knowing that they are helping other kids develop their martial art, and molding them into the more confident individuals of their generation. We are helping to create a generation of doers. At the same time, we are improving both our own technique and our own self-esteem. Through teaching karate, girl instructors would be relearning and refining all of their already-learned material because now they would have to be able to repeat it to someone else so that they can understand it just as well as they did. And teaching in general develops skills that most people would not develop solely as students. As a teacher, it becomes easier to identify and accept varying opinions, because all of a sudden differences in how different movements benefit different bodies become more clear. Moral frameworks teachers bring to the class begin to define the values that they want to impart in their classes. And teachers' own self-esteem grows through learning to take an authoritative position which, as mentioned before, creates a generation of doers. This generation is one that is moving into action in just a couple of years. Just by coming in to help, junior instructors could be learning skills that would be benefits in the job market (being able to communicate clearly and thoroughly, as well as being able to repectfully assert authority in a leadership role) and in other areas, even politics — being able to identify and accept different sets of morals to decide how best to weigh political opinions. Ultimately, no one should be forced to come in and teach, it’s an optional activity. But when considering all of the benefits on both the students and the teacher, it’s hard to believe that someone would pass up such an amazing opportunity.